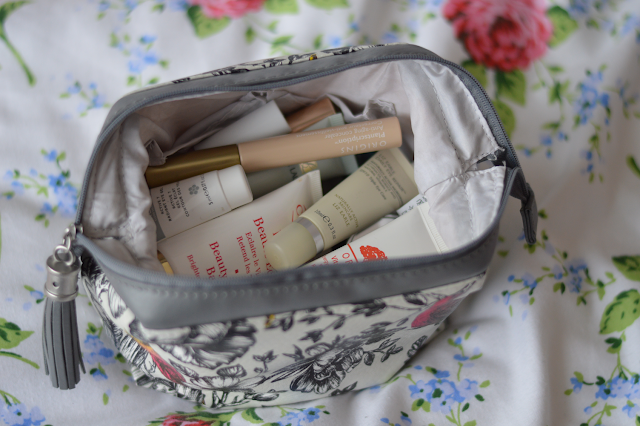 It's become apparent that a few skincare products have made quite an impression on me. 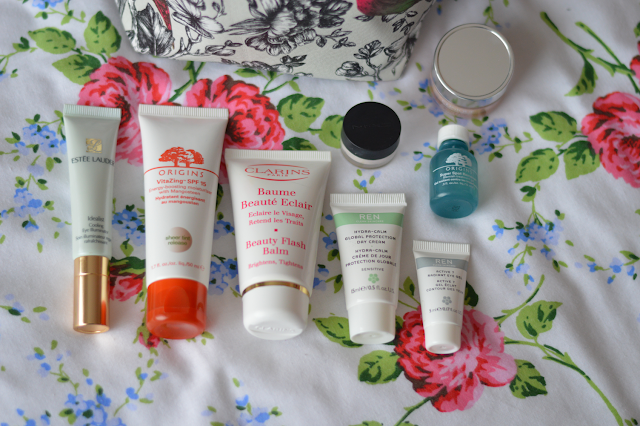 This fine line up of beauty products are all well worthy of a little praise! Estee Lauder Idealist Cooling Eye Illuminator as been a favourite of mine for a while, it's found it's way into my new makeup bag and I've been reaping the benefits. The dark early morning starts aren't exactly revitalising so having an eye Illuminator is a top tip for this time of year. Origins VitaZing SPF15 is one of my top 3 products of 2012 and I look forward to enjoying it through 2013. I would certainly repurchase this happily. It protects the skin, adds colour and hydrates the skin. A triple whammy of goodness all in one tube. This should be on all your lists to try this year, rich in anti-oxidants so perfect for post-party celebrations. You could say a detox for your skin. Clarins Beauty Flash Balm needs no introduction, this is a cult classic and one which everyone should at least try once. I like to use this for days when I need a little tightening and a healthy glow. I like to apply a thin layer over the top of my daily moisturiser and wait for my skin to soak it up and then apply my foundation. REN Hydra-Calm Day Cream is a great all-rounder. The formulation is perfect, not too heavy on the skin but hydrating enough. I really like the natural scent, I think it must be the Chamomile. I was lucky to snap up this little sample when it was featured as a free gift with RED magazine. My skin has been a little sensitive lately and thanks to Hydra-Calm my skin is now soothed and looking good. This leads me onto my next product praise. REN Active 7 Radiant Eye Gel was also a free sample from the RED magazine. I suffer from dark circles which I've inherited from my Mother. Whilst the Eye Gel hasn't diminished them it has kept my eye area hydrated which has in turn kept the fine lines at bay. Origins Super Spot Remover has been a key product for me through 2012 and I know it will continue to do so through 2013. It's a small bottle but it lasts an age! I only need to dab a small amount on a blemish and the improvement is noticeable the very next day. Another one of my top 3 beauty products. One to add to your list. MAC Strobe Cream, this is a small sample I've had for a little while and I'm nearly all out. I'm not sure whether to purchase the full size and wanted your advice. I mix this with foundation for a subtle pearlescent sheen. Please let me know your thoughts. Clinique Moisture Surge Gel has been a great discovery for me, I use this in exactly the same way as the Clarins Beauty Flash Balm. For me it's the gel version, it's cooling and revitalising. The perfect wake up call. I think this would be great to use on warmer days as well as cooler days. I really hope you have enjoyed this post, I would love to know if you've tried any of my top picks or if you want to. 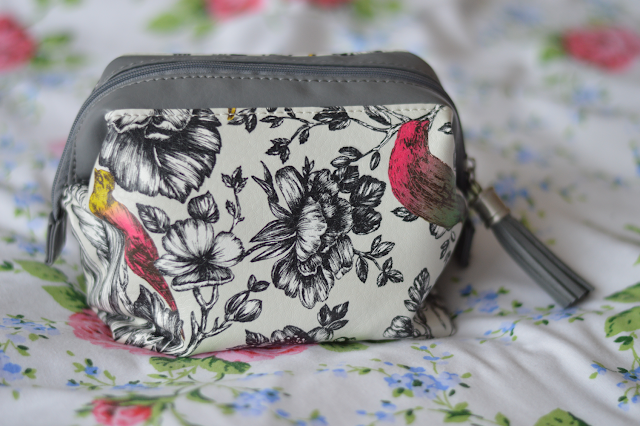 I just fell in love with your makeup bag! Aw what a cute bag! I have seen S&G Hocus Focus mentioned above and it does look pretty, maybe a potential for when I use this up! The Beauty Flash Balm is such a staple!!! Adds such a lovely glow!!! This post also makes me even more curious about REN products, everyone keeps raving about them! I've never quite managed to get on with Beauty Flash Balm so I might try what Charlie has suggested in the comment above and see if I can get it to work for me! I also like the Strobe Lotion, it gives the same sheen as the cream but it's sheerer and more liquid which I find makes it a lot easier to work with. I love the Origins and the Clinqiue moisture surge _ I actually think the new origins make a difference + is very similar to this. I have never tried any REN skincare but have seen them popping up everywhere! Also, I have the full size strobe cream, and I am definitely not a fan. I have only ever used it a few times and I don't like how it makes my skin feel.